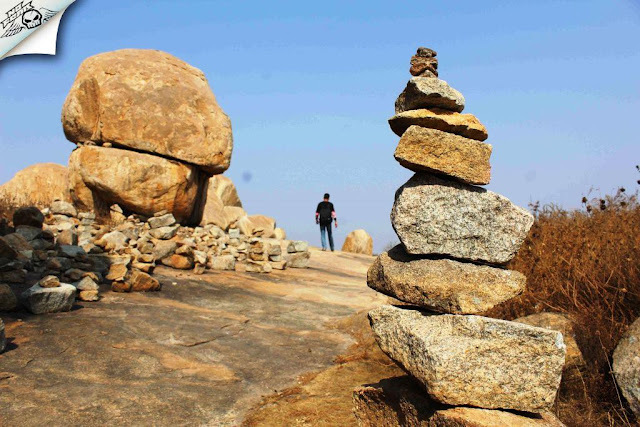 I had started planning Kudremukha trek for this long weekend. 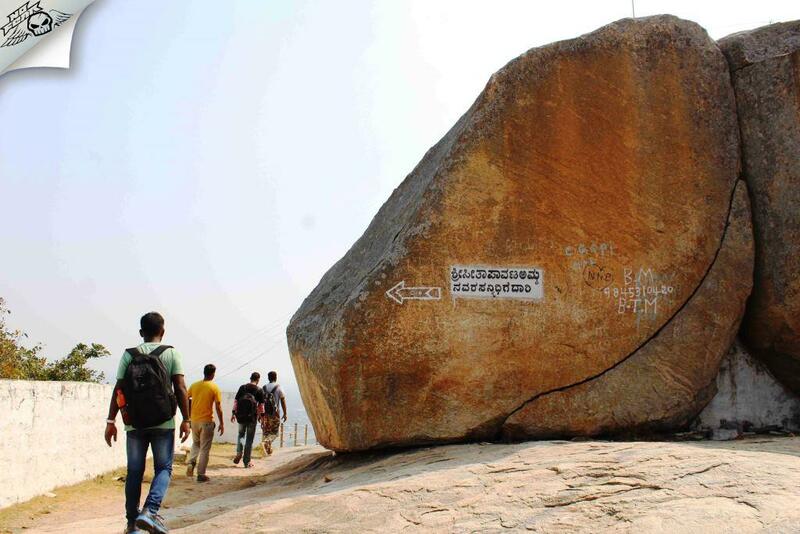 Unfortunately, Kudremukha forest officials have stopped trek because of some incident during the New year. 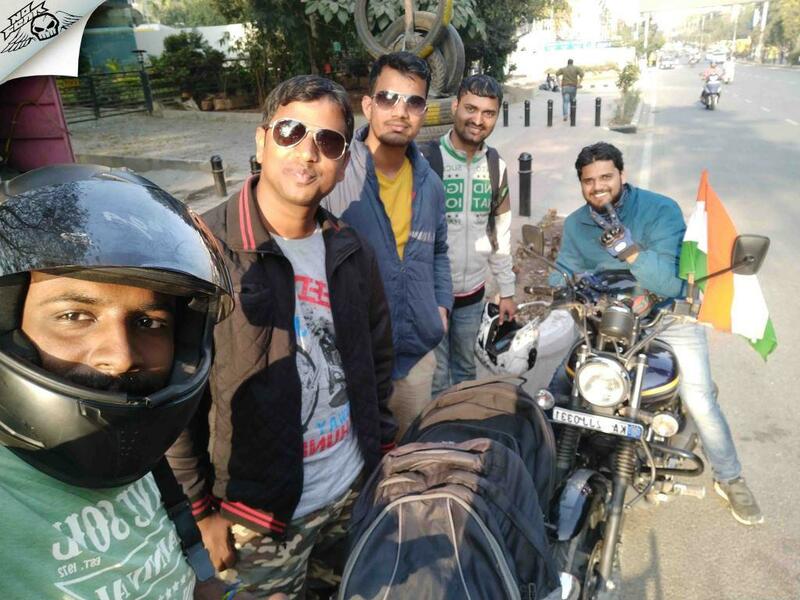 So the plan took a diversion and switched to a one-day bike ride to Avani Betta on the Republic day. Jan 26th morning: It was Republic day! A proud feeling and spirit to start the ride. The Arun and I started from my home at 5.45 in the morning. We waited for other guys to join near Byappanahalli metro station. Everyone arrived at 6.30, Vijay had the national flags from his last ride. The goosebumps moment when we saw the national flag. Patriotism boosted up the ride. 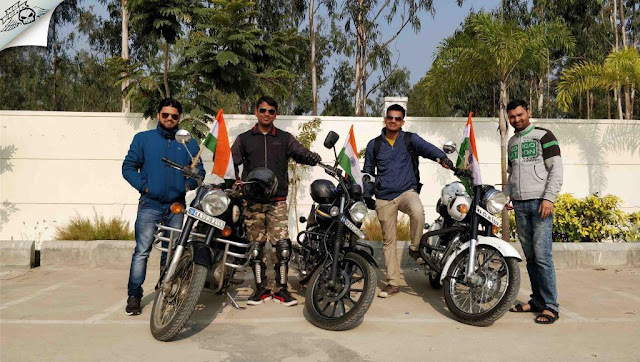 We bound the flags to the bike which made the bike look glorious with the flying Indian flag made us highly spirited. We soon started the ride without further delay. It was 7 in the morning and we faced light traffic until we crossed KR Puram toll gate. 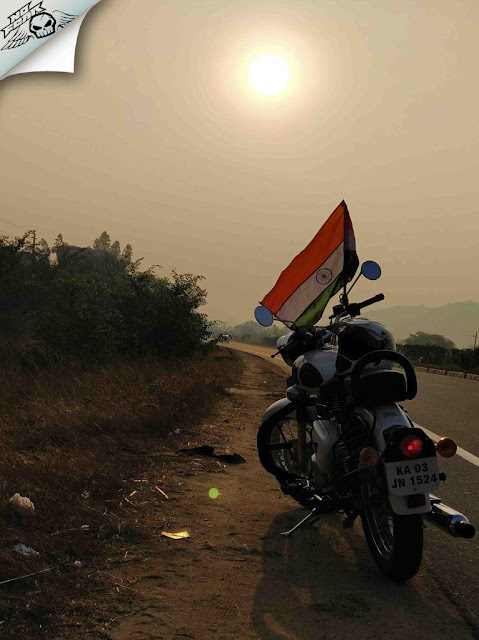 The Ride: Riding on the NH 75 is a bliss, the roads are smooth and traffic free. The sun was already up and lit the entire atmosphere. The roads were shining with small hillocks scattered on either side of the road. We spotted many superbikes racing on this road at insane speed. Before I could notice which bike it was, they were out of my sight. No doubt this road is for the ones who want to put their bike to an intense test. We maintained the top speed and crossed Kolar in an hour. We paused for the breakfast after 10 km from Kolar. Breakfast went bad: There was huge food court to the left which had many branded restaurants. We chose Maiyas for the breakfast. 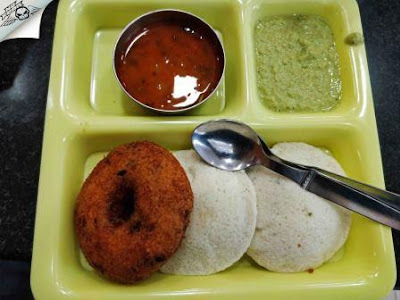 We ordered idli vada, Pongal and Khara bath. The service was slow and pathetic. Idli was one of the worst I had ever tasted. It was hard and overcooked, vada wasn't tasty either and chutney was stale. Even the tea wasn't good. And the water they served was direct tap water and to our surprise bill was Rs. 700 for 5 people. Being a well-known food chain, we at least expected good quality and tasty food. But, all we got was a disappointment. Experiences like this can spoil the mood for the whole day. I better suggest you try Adigas on the other side of the highway. We resumed our ride after the breakfast. 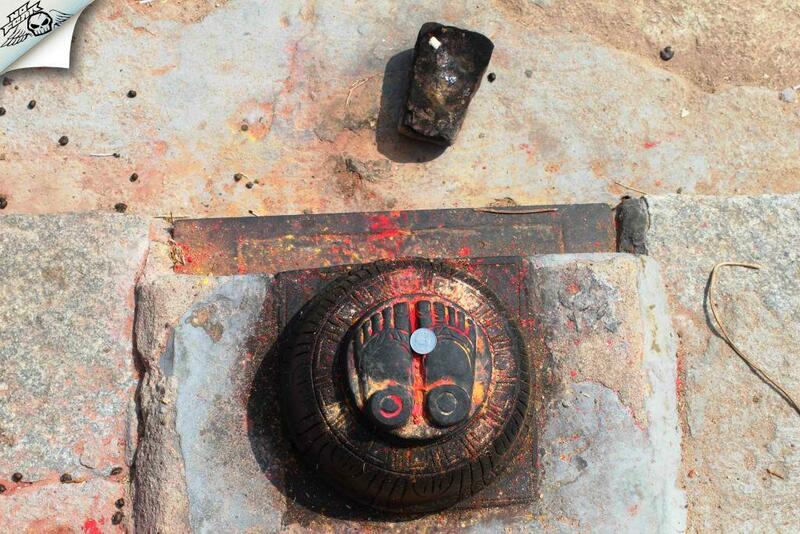 After 15 kilometres I noticed a direction sign which indicated a right turn to Avani. The right turn took us through countryside roads, the road condition was bad for the next 4 kilometres. The road was actually under construction so I assume it to be ready by next 3-4 months. Riding on a dusty and bumpy road was a good experience indeed. However, the last kilometre was smooth till we reached Avani. Brief about the place: There is a belief that the sage Valmiki, the author of the epic Ramayana, was residing here during the period of Ramayana. 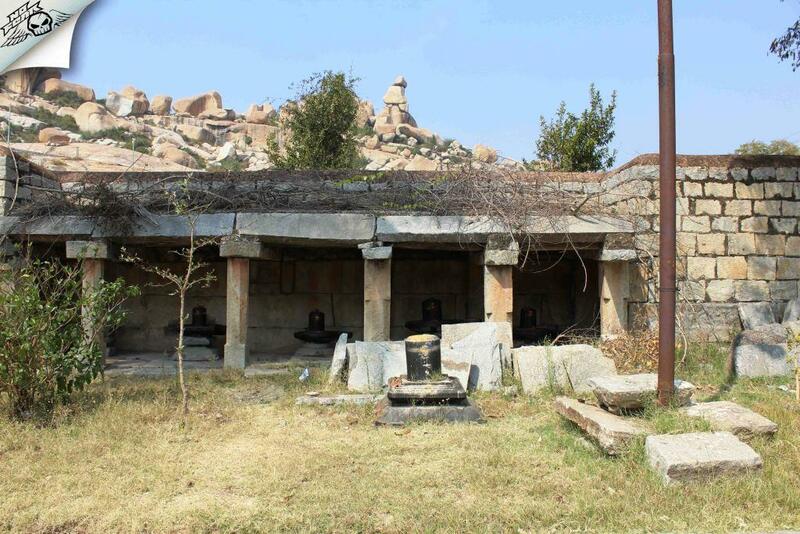 Sitadevi lived here in his ashram while in exile. 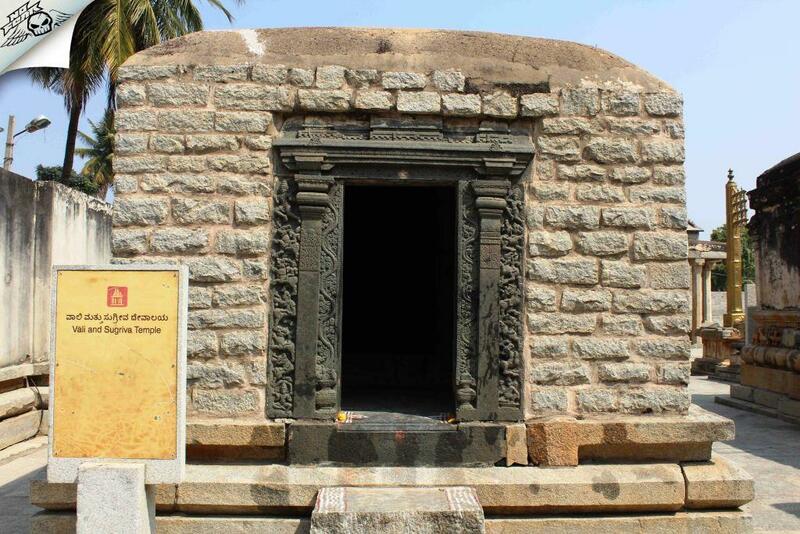 Sitadevi gave birth to her twin children Lava-Kushahere at this place. There are very few temples in India which are dedicated to Sitadevi, Avani is one of them. 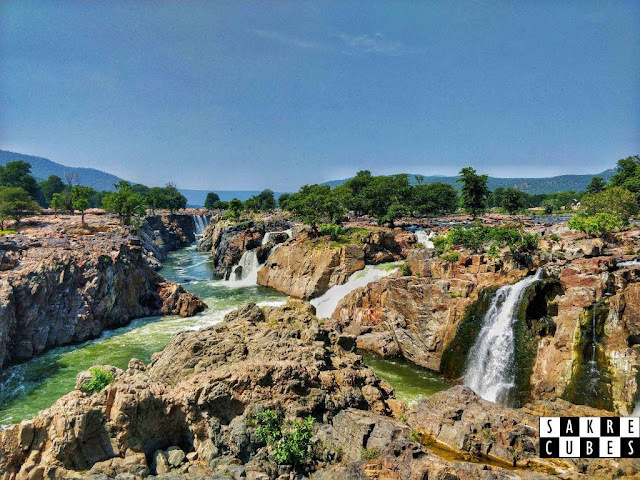 The meaning of Avani is the earth, as this was the place where mother Sita had given birth to her twin sons Lava-Kusha. And also Sita was known as Avanisuta. She started living in the ashrama of sage Valmiki, always thinking about Lord Rama. In due course of time she gave birth to Her twin-sons named Lava and Kusha. These sons grew on the level of Lord Rama Himself resembling Him in valor, beauty and all the transcendental qualities. Saint Valmiki raised them as though they were his own sons. He taught them all the Vedic knowledge. After twelve years Lord Rama performed an Ashvamedha-yajna – the horse sacrifice. As a part of this yajna ceremony, the ceremonial horse was left to wonder at will. 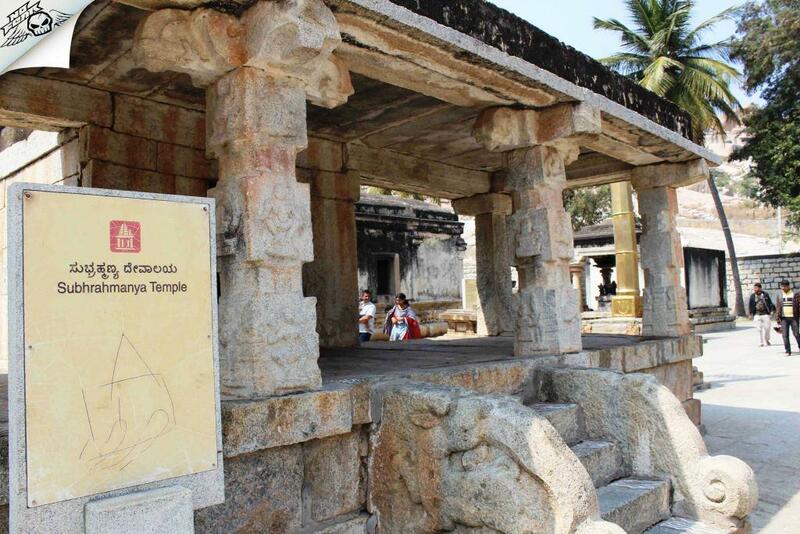 Whichever place horse wondered, was declared as the territory of Lord Rama. In order to deny one’s territory as Lord Rama’s one had to stop the horse and challenge for a rival. However every one bowed to the horse accepting the greatness of Lord Rama. But Lava and Kusha did not. When the horse reached Avani, they captured the horse and boldly challenged the authority of Lord Rama. They did so because they were Kshatriyas and it was the duty of a Kshatriya to accept a challenge and fight. As the news spread till Ayodhya, Rama sent Lakshmana to fight with Lava and Kusha and get the horse. Surprisingly Lakshmana was defeated by the transcendental brothers. Lakshmana was followed by Bharat and Shatrughna who were also defeated by Lava and Kusha. 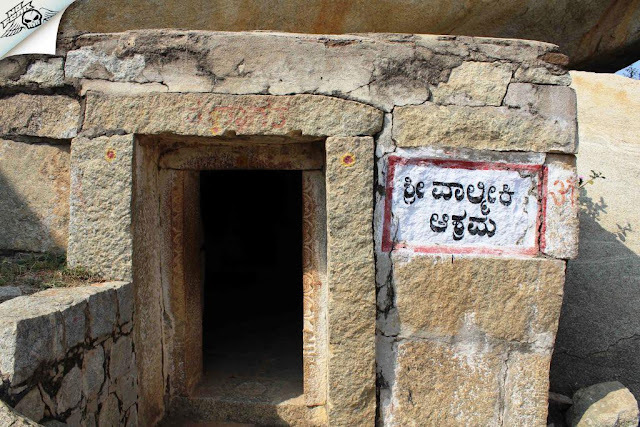 Surprised and shocked, Lord Rama Himself had to come to fight Lava and Kusha. 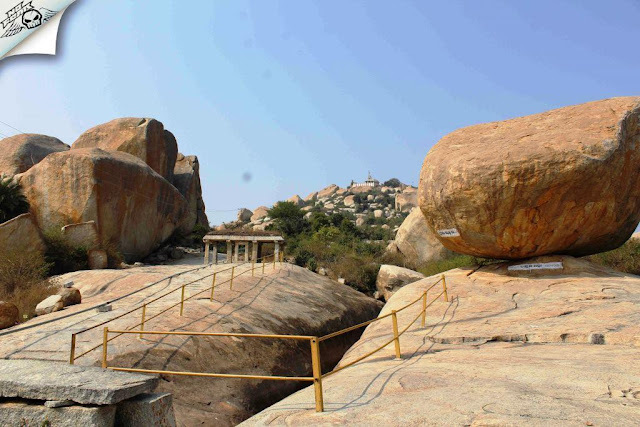 Then the famous battle broke between Lava-Kusha and Lord Rama. Before anything could happen, Valmiki rishi approached the scene and stopped the battle. 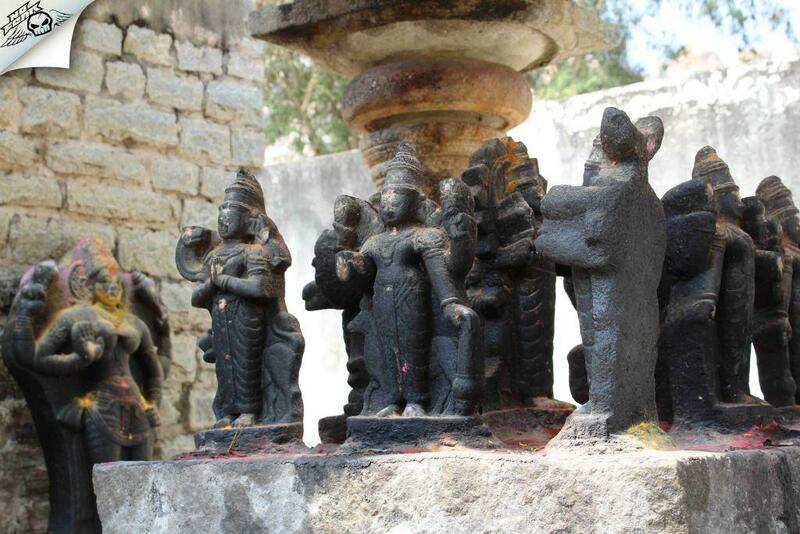 He asked Lava and Kusha to beg for forgiveness from Lord Rama and return the horse. Avani has a century-old temple at the base and Sitadevi temple on the adjacent hill. So we had two choices after reaching Avani. We chose to hike first as it would be sunny later. We parked the vehicle near a small shop. The shopkeeper was helpful enough to watch after our bikes. For the first time in my life, I hadn't done any research about the place I am visiting. 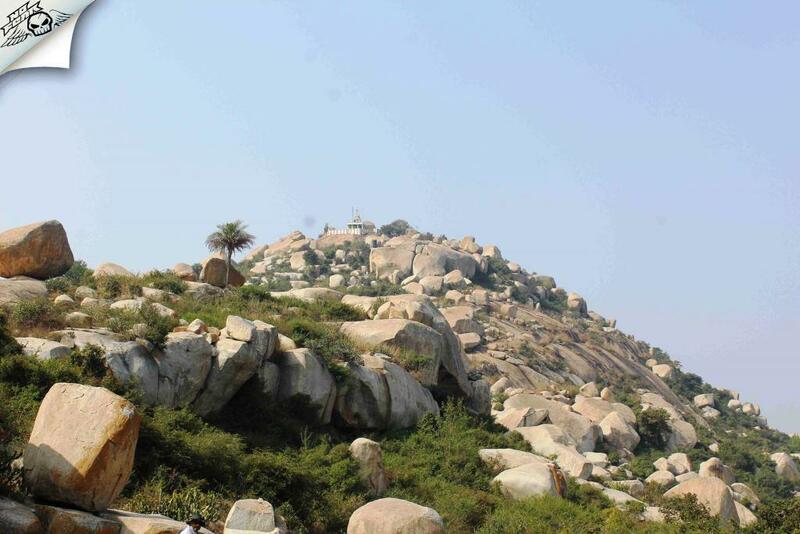 As the plan was random, the only thing I could guess was a small hill and a beautiful temple at the base. So I was clueless about what to expect from this place. Base of Avani Betta. There's enough space for parking and the vehicles will be safe and sound. Footprints at the start of the trek. 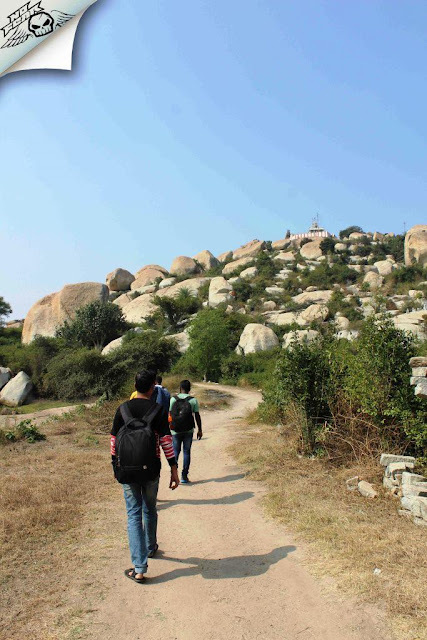 Th Ascend: It was 10 am, the climate was soothing and it was the time we started trekking. The major part of the trail had steps to help pilgrims scale the hill. After 10 minutes we reached a flat ground where there were two temples one was Valimiki's Ashram and the other was Panchapandava's temple. Somewhere, I could relate that this place has histories from both Ramayana and Mahabharatha. The ascend is very easy as you have steps. Cairns: Pile of stones used by many parts of the world by trekkers as a trail marker. 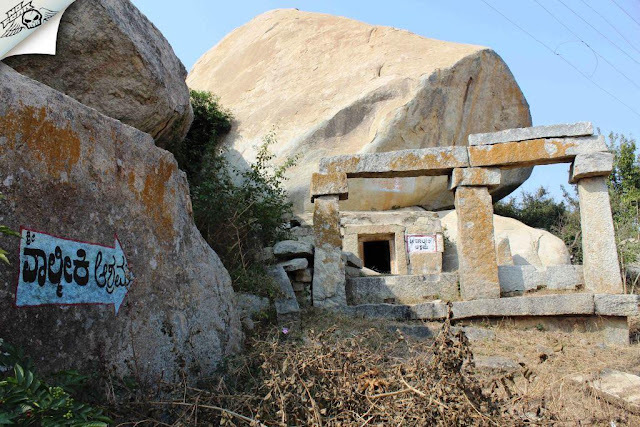 Valmiki Parvatha: This is the place where Sita lived during her exile. It is believed that the twin sons of Rama, Lava and Kusha were born in the Valmiki Ashram. 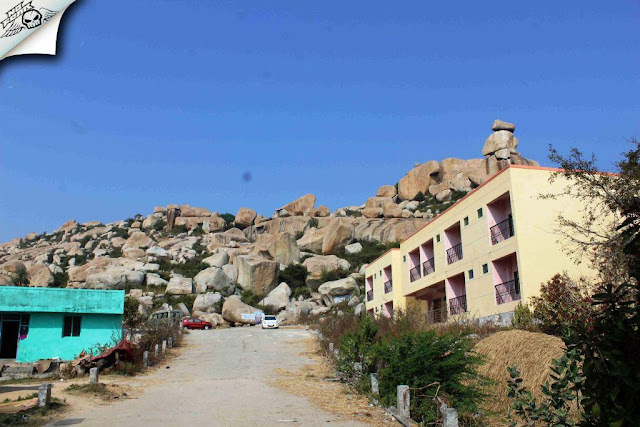 The soil inside Valmiki Ashram is considered to be sacred hence devotees take fist full soil whenever they visit this place. 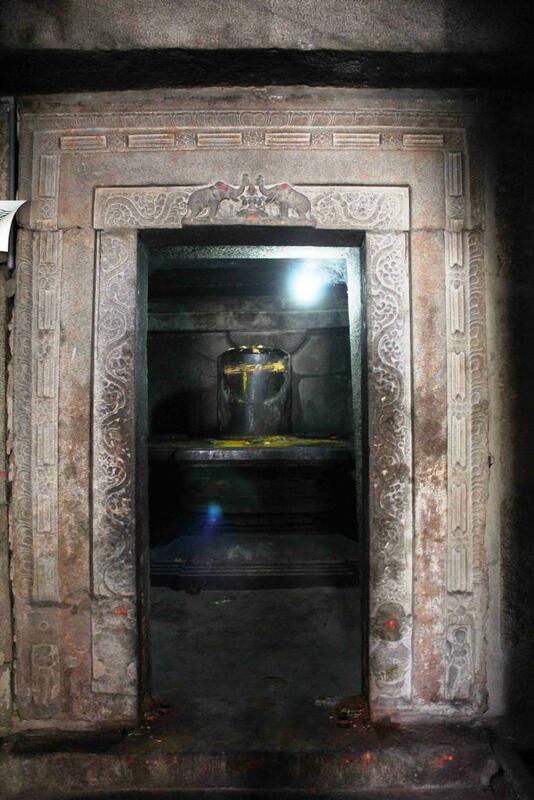 Pancha Pandava's temple and the linga inside it. End of trek? I assumed that it is the end of the trek and I was little disheartened. I could see a beautiful temple on a farther hill, I wished if we could climb that. We spent some more time at this place only to find a route which actually leads to the other hill I wanted to hike. My heart filled with excitement. 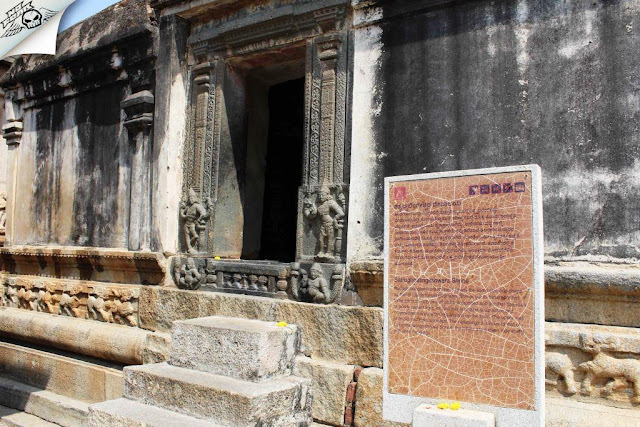 We proceeded further to find many interesting things which belong to the Ramayana age. There was a small pond where Sita used to wash her clothes, a small lotus pond and garden for Sita. 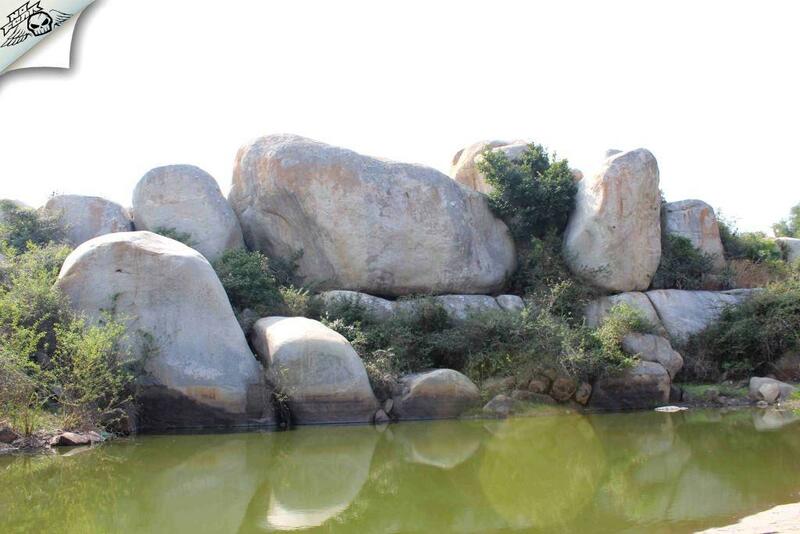 This is called as Lakshmana-tirtha which is created by Lakshmana in order to quench the thirst of Sita-Devi. 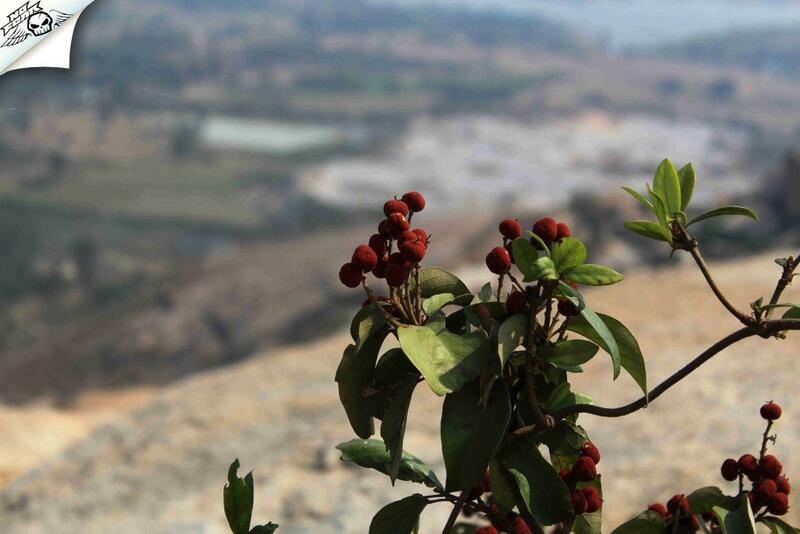 There were so many interesting things around here we didn't realize when we reached the peak. Most part of the trail includes either horizontal ground or steps so it's very easy to scale this stretch. 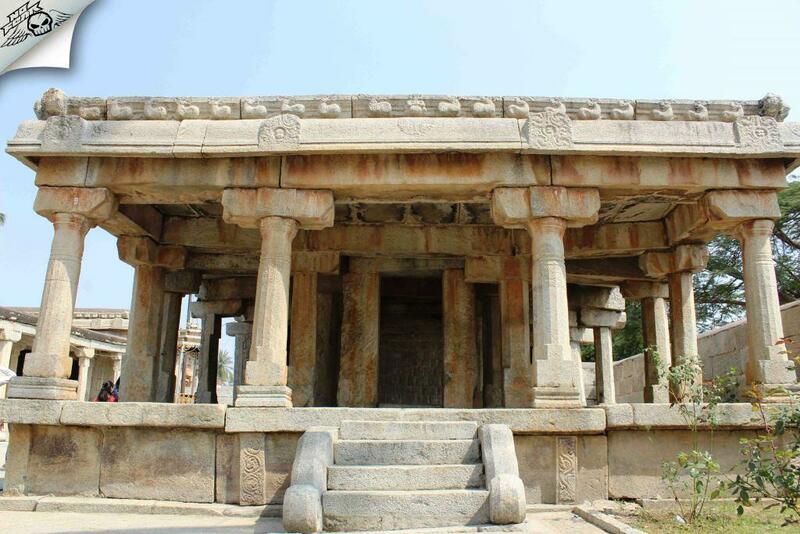 Lakshmana-tirtha: created by Lakshmana in order to quench the thirst of Sita-Devi. The route is flat for some distance after the Valmiki Ashram. The trek is very easy. Pond and surrounding garden created by Lakshmana for Sita. During rainy season you can see the pond filled with beautiful lotus flowers. 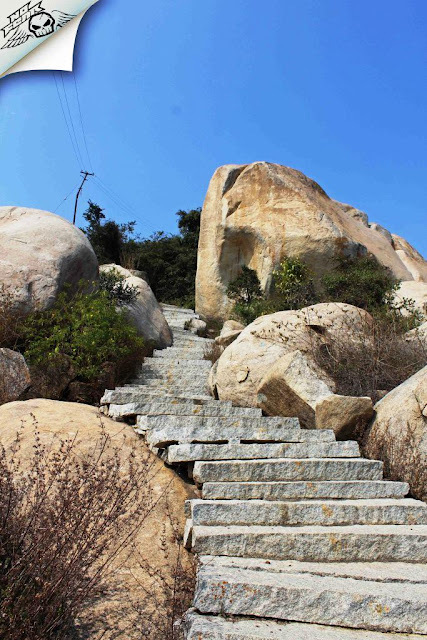 The last stretch includes climbing these stairs make with the block of stones and aligned properly. 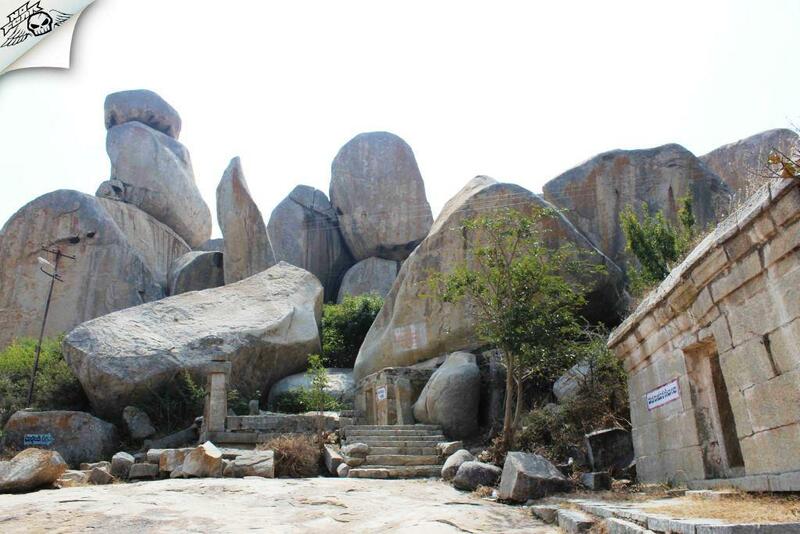 This is the place where the epic war between Rama and his sons Lava & Kusha took place. 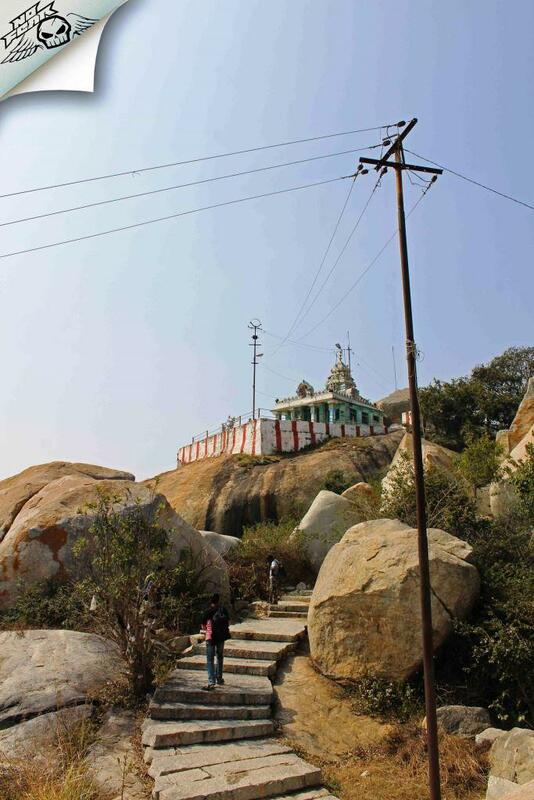 Sitadevi temple atop: We reached the summit at 11.15 am, it took us around 1 hour 15 minutes to reach the peak at a lazy pace. There were some people at the top who were mostly locals. There is a small temple of Goddess Parvathi; This is the place where Sita-Devi entered the Earth. 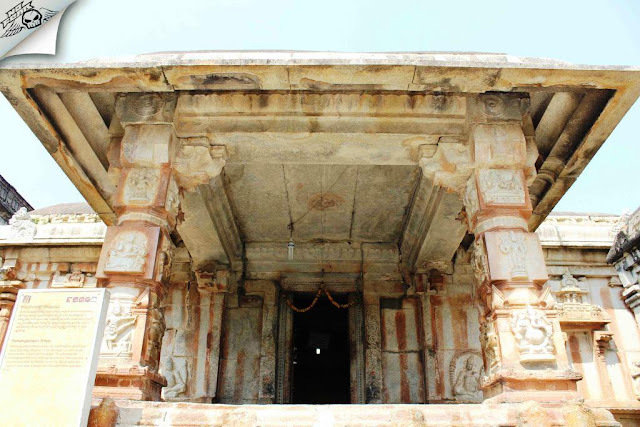 Beside Sitadevi's shrine, there is also Shrine of Parvati. 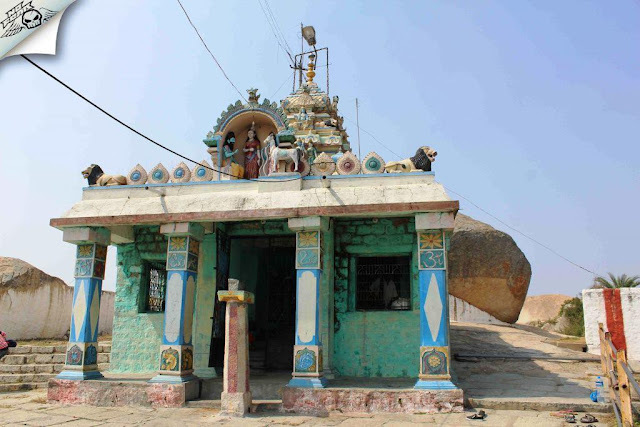 Temple pujari did arati and gave holy theertha to drink. There were monkeys at this place, which doesn't hesitate to attack you if they see any eatables in your hand. So be alert if you are carrying any eatables or offering to the goddess. Very few temples in India are dedicated to Sitadevi, this temple on the Avani Summit is one of them. 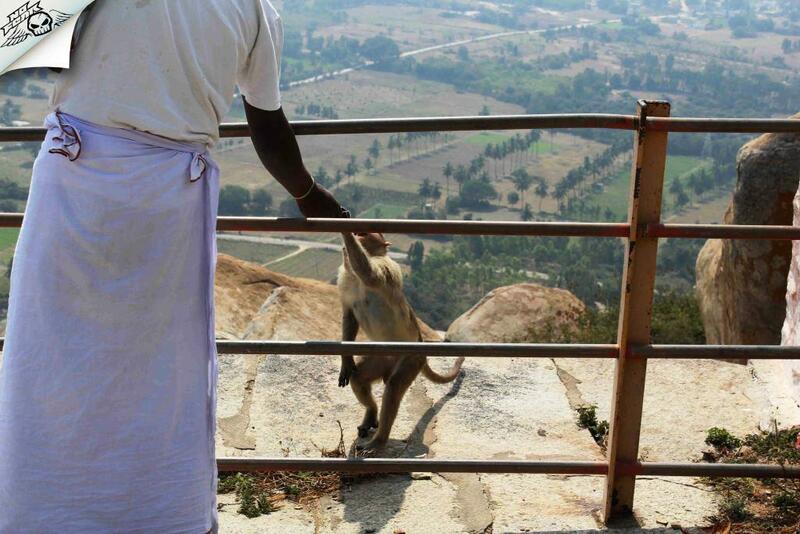 Monkeys all around near the temple. 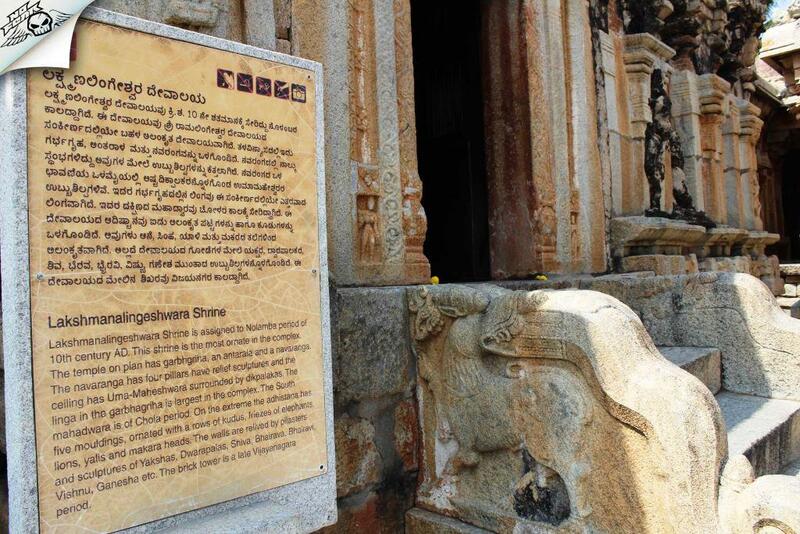 So beware if you are carrying any eatables or offerings to the deity. 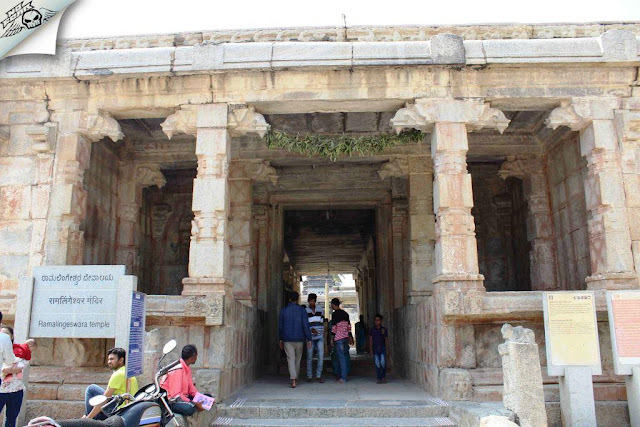 Unlike in most of the places where it's filled with busy Bangaloreans, the visitors here are mostly locals especially the families. So you get to interact with people of a different genre. We talked to an old monk from the same village, he told a lot of stories about the importance of this place. 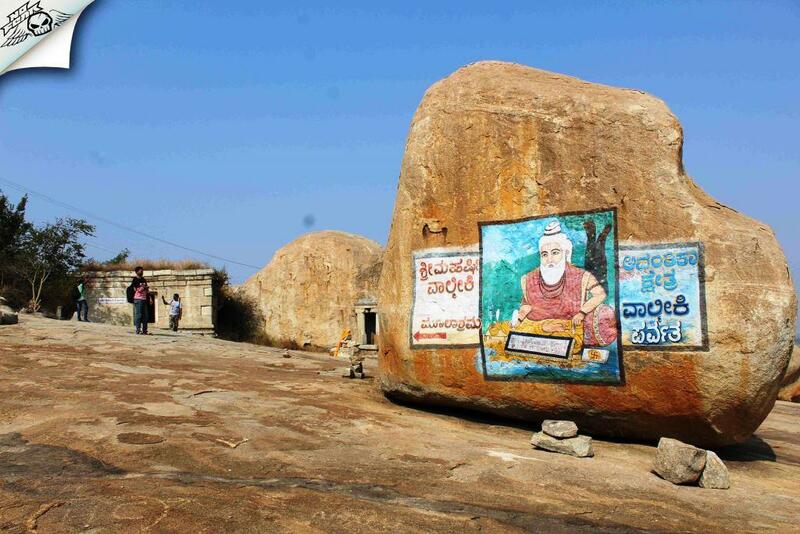 He also mentioned festival celebrated here during Maha Shivaratri. We explored the peak for some more time to find a good spot to crash and take a power nap. 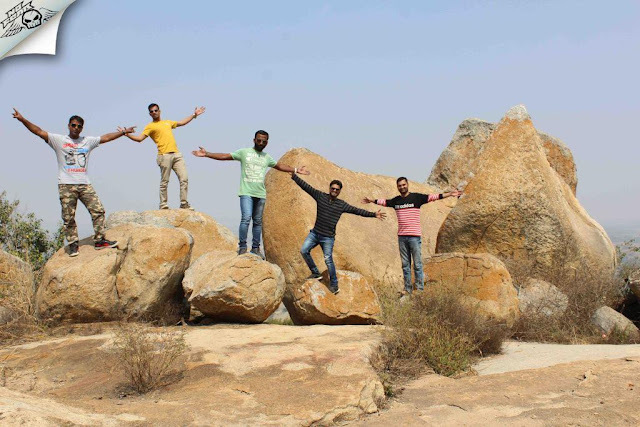 We took some rest under the huge boulder with cold breeze kissing our cheeks. We took a couple of group pics, interacted with other groups and started descending. Descend: The sun was high in the sky and it was hot by the time we started descending. I saw many people climbing the hill at this time. The hot sun was actually making the climb very difficult for them. People of all age groups were ascending. So it is quite an easy trek for people all the age groups. While Descending. There are direction marks at most of the places. I was happy to see our bikes were safe and sound once we reached the base. We proceeded further to Ramalingeshwara Temple. The temples in the complex are built with granite blocks and heavy lintels. 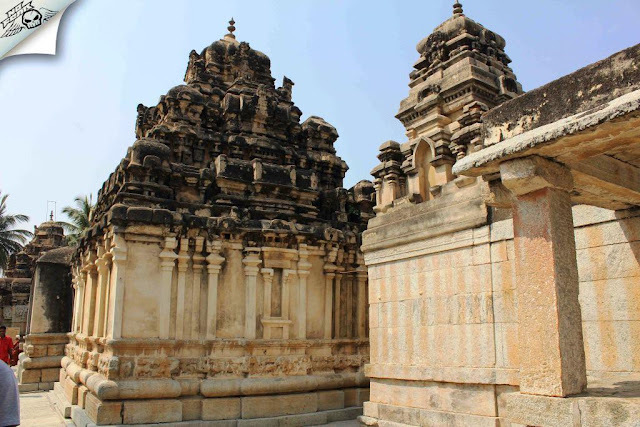 The temples are constructed in the Dravidian style and they were constructed in the 10th century by the Nolamba dynasty and partially renovated by the Cholas. 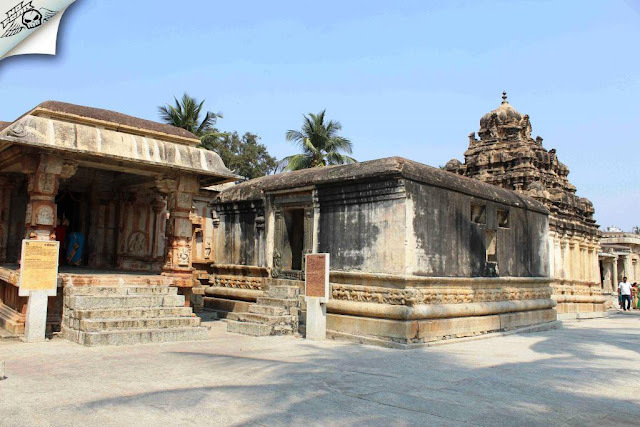 The temple complex comprises of four shrines of Shiva installed by the Lord and His brothers in order to beg forgiveness from Lord Shiva for fighting with children – Lava and Kusha. 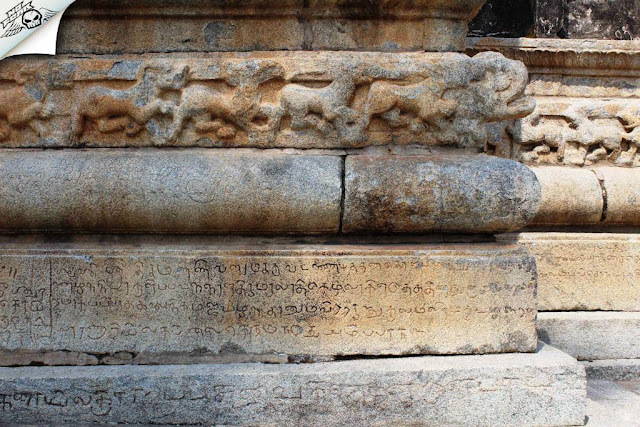 The Shiva-linga here are Ramalingeshwara, Bharateshwara, Lakshmaneshwara and Shatrughneshwara. Inside the temple complex. 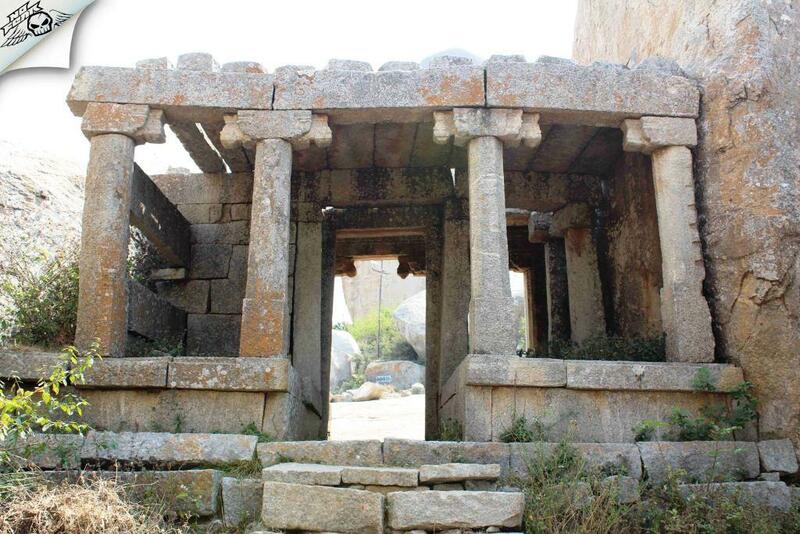 The place is very well maintained and protected. The temple is protected and very well maintained by govt of India. 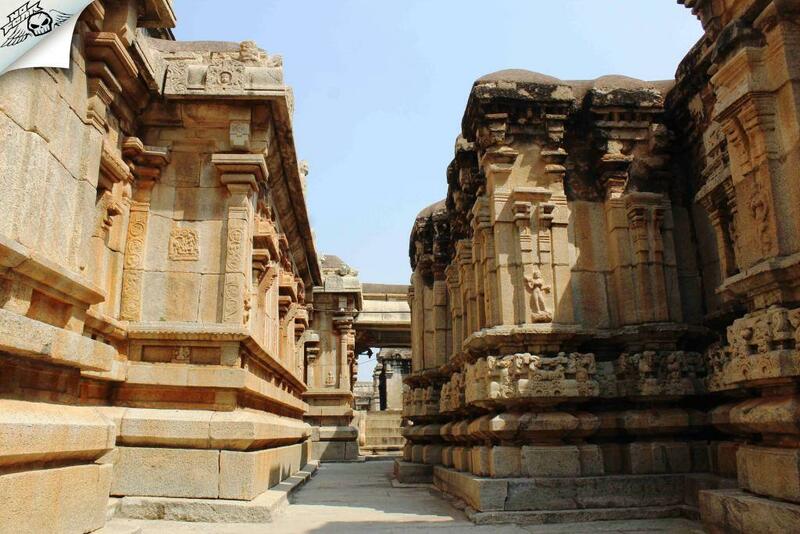 The temple walls speak themselves stories from Ramayana. 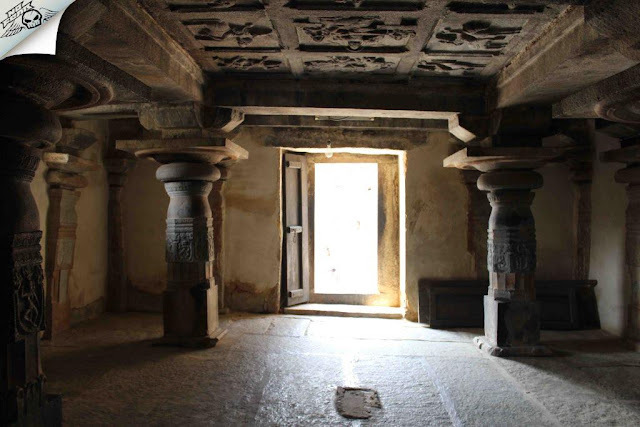 This place is an ideal for the photographers and history lovers. 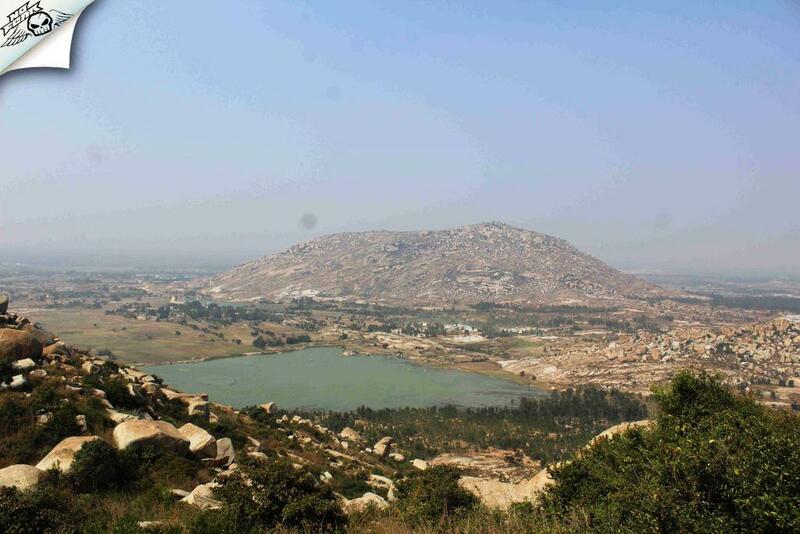 I had never expected this good heritage sight so near to Bangalore. I wondered why I didn't visit this temple before. We took a stroll in the temple area and managed to capture some of the best shots through the lens for my blog. We spent close to an hour at this place and we began our ride back to Bengaluru taking a slice of history with us. 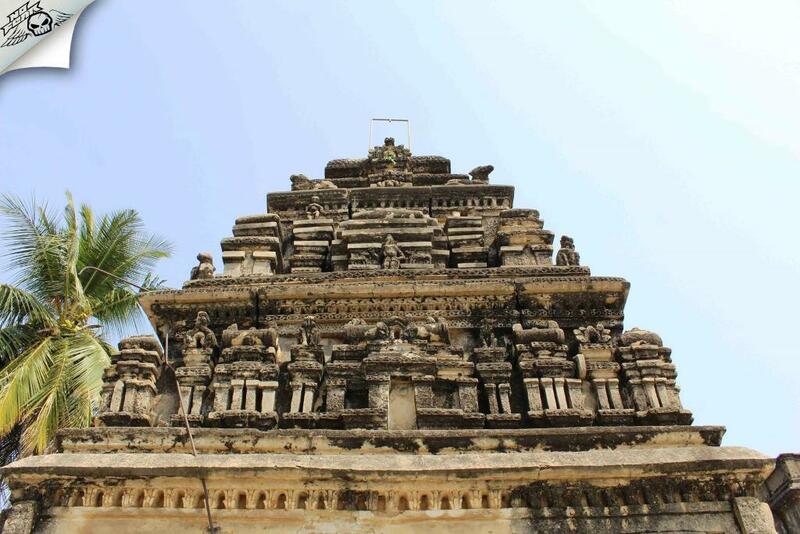 Subramanya Temple: The first temple you see just after you enter the temple complex. 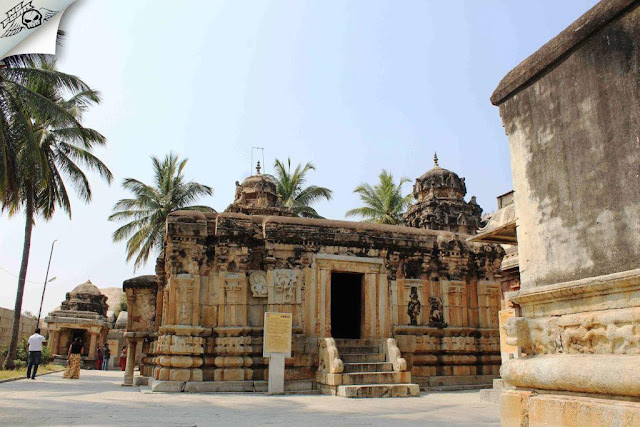 Lakshmana lingeshwara temple. 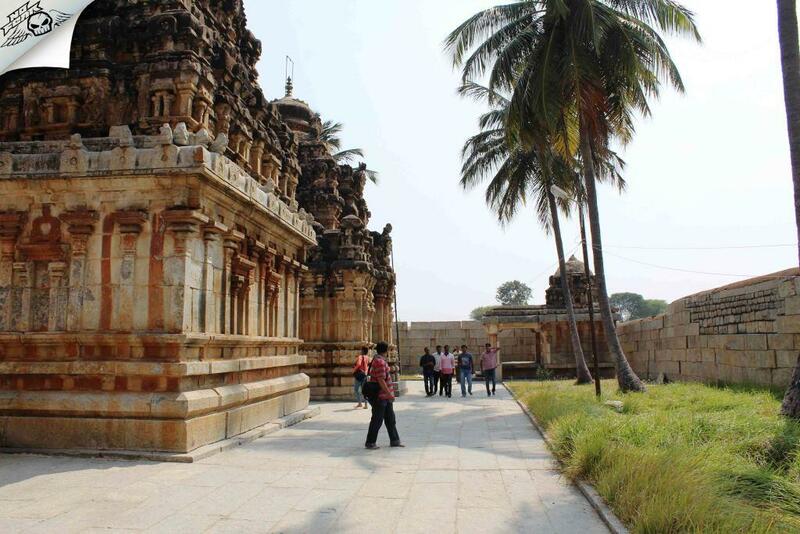 This one is the most beautiful temple in the complex. Ramalingeshwara Temple: This is the main temple among all the other. 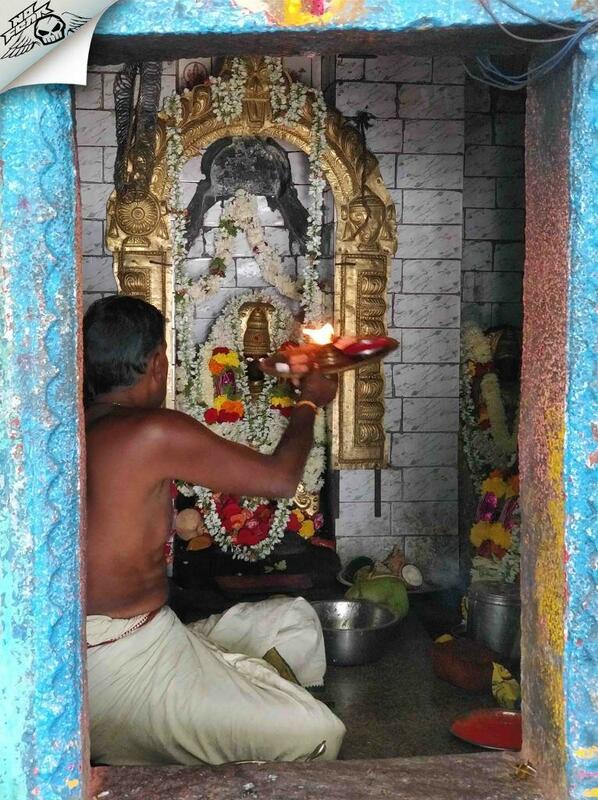 The deity inside this temple is actively worshipped. 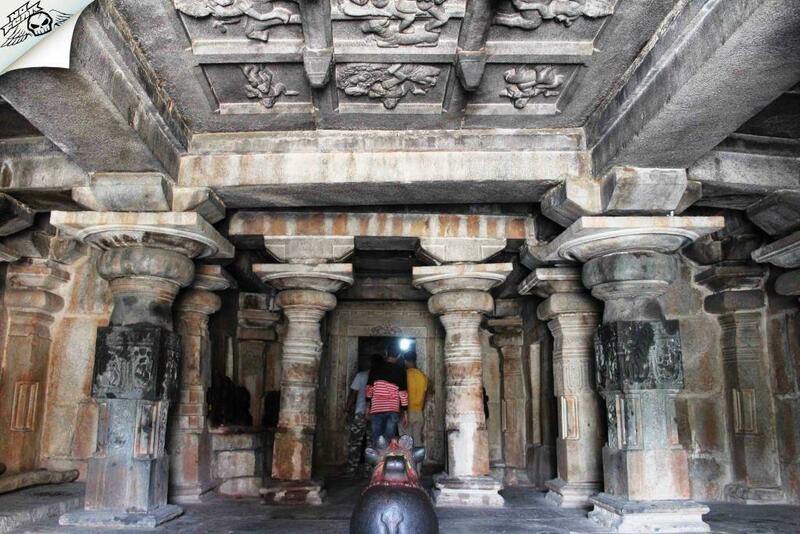 The pillars are carved beautifully inside the temple. Vigneshwara Temple & the Ganesha idol inside the temple. Temple area. Looks gorgeous at all the time. 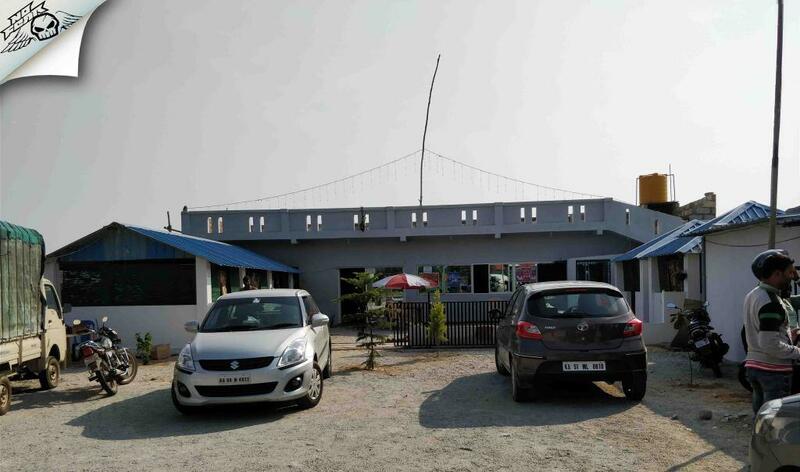 Riding Back: We stopped at SN palace dhaba for lunch. The food was good and rates were reasonable (Rs. 800 for 5). Bangalore was another 70 kilometres from this place. We decided to ride fast and reach Bangalore early. We rode continuously at high speed till we reached the toll gate, where we took a short break. The traffic was more after we crossed the toll gate till I reached home. We stopped near Byappanahalli to bid goodbye to each other with a hot cup of tea. We departed to our respective homes and reached home by 7 pm. S. N Palace Family restaurant. Last selfie of the day. Conclusion: It was a good bike ride plus trekking experience for us. The Temple on the base is exceptionally good. A must visit for everyone regardless of the age group and the mode of transportation. 1. 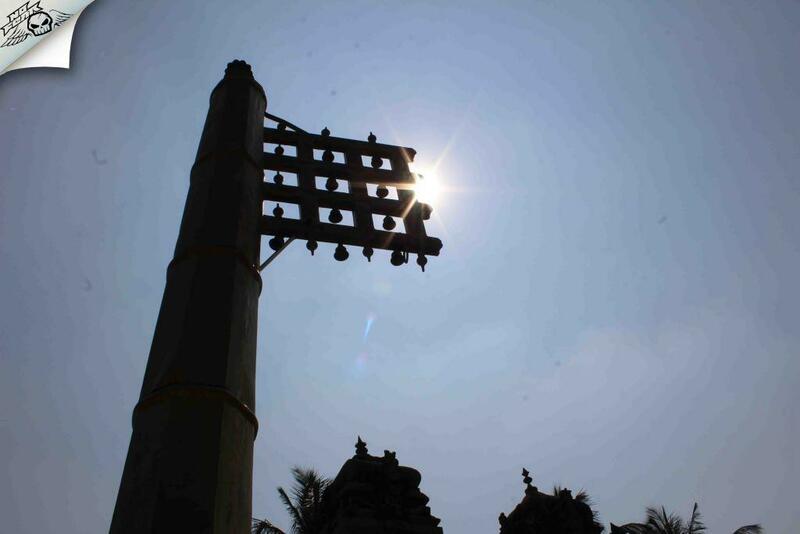 Mahashivaratri festival is celebrated very grandly. 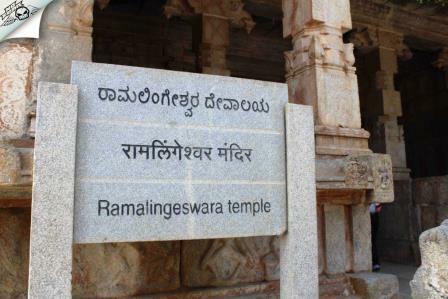 'Ramalingeshwara Rathostava' is also very famous. 2. Timings: 6 am to 6 pm for the temple complex. Hill you can hike at any time. 3. 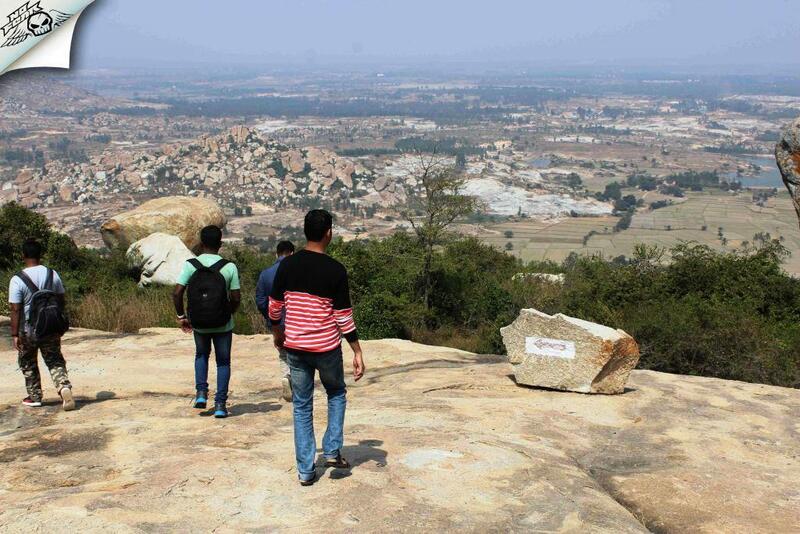 Carry enough water while trekking as there's no water resource atop. Check out the vlog on my youtube channel, I make videos about all my trips.